Brad and Katrina Jenkinson’s guiding force is their son, Hamish. By creating a legacy in his honour, they hope to save other RCH families from the grief they have endured. Their first child, Hamish was born with a rare genetic condition causing multiple blockages in his bowel. Cared for from birth by accomplished surgeon and researcher, Associate Professor Sebastian King, Hamish underwent two significant surgeries to repair his bowels. The first was to create a stoma, or opening at the end of his intestine, to allow faeces to bypass the blockages in bowel. Despite A/Professor King’s best efforts, Hamish’s bowel failed to function normally. A second surgery was scheduled weeks later. In spite of their grief, Brad and Katrina participated in Run for the Kids two days later in Hamish’s honour. Run for the Kids has become an annual event for the Jenkinson’s. 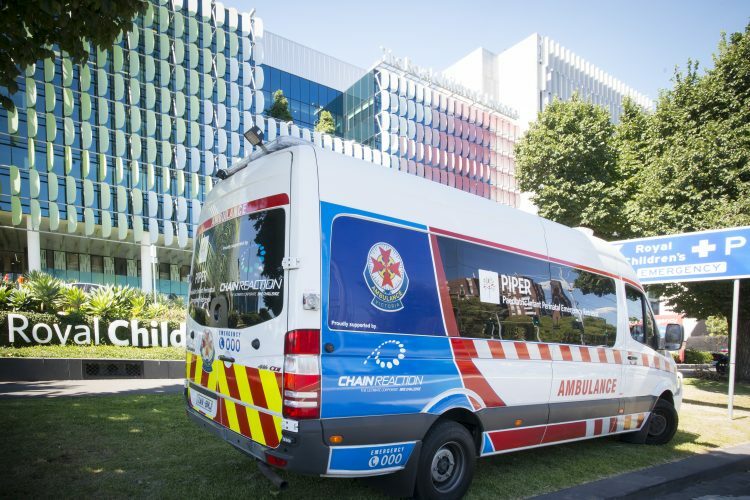 Last year, 75 people joined team ‘Hammer Time’ including their baby girl, Eva, who was born just one day before Hamish’s first birthday, and two special additions: A/Professor King and his son. Inspired by A/Professor King’s work, the Jenkinson’s have expanded their support of the RCH beyond Hammer Time, fundraising through their business, Holistic Athlete Development, and challenges like Brad’s Ironman training. They have raised over $13,000 so far. 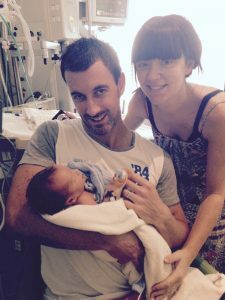 “My wife and I share a dream that one day, because of medical advancements that are only possible through fundraising, families won’t have to suffer the loss of a child to the same condition we lost our beloved Hamish,” said Brad.